An Irish-American research consortium has developed a new heart implant known as Therapi that delivers medication precisely where it is required. After a heart attack, scar tissue that builds up around damaged blood vessels can precipitate ventricular or valve failure. Preventing this with medication requires either inaccurate systemic treatment – where doses must be kept low and the whole body is affected – or targeted drug delivery to the heart via multiple invasive surgeries. The Therapi implant features a gelatin-based polymer reservoir where drugs can be stored and released locally to the damaged tissue. 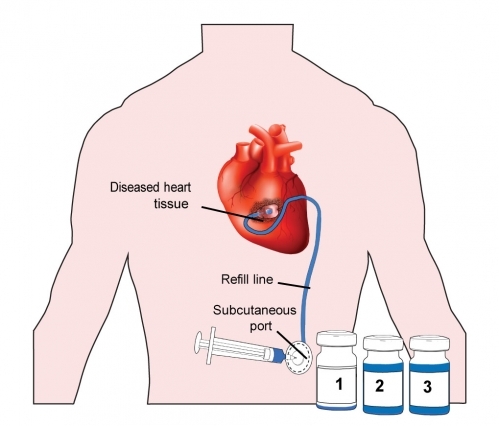 Attached via a surgical procedure, the reservoir can be refilled via a port on or just below the patient’s skin. The implant’s flat bottom consists of a semi-permeable membrane that can be adjusted to allow more drugs or larger materials to pass directly into the heart tissue. Published in the journal Nature Biomedical Engineering, the research was led by Harvard University and featured input from MIT, Ireland’s Royal College of Surgeons, Trinity College Dublin, Advanced Materials and BioEngineering Research (AMBER) Centre, and National University of Ireland Galway. “From a pharmacological point-of-view, it’s a big problem that you’re injecting something that doesn’t stay at the damaged tissue long enough to make a difference,” said William Whyte, co-first author and PhD candidate at Trinity College Dublin and AMBER. According to the team, Therapi is ideal for administering stem cell treatments, with the reservoir acting as something of a cell factory. Rather than pass through the membrane into the heart, the cells stay within the reservoir where they produce paracrine factors that promote healing in the damaged heart tissue. 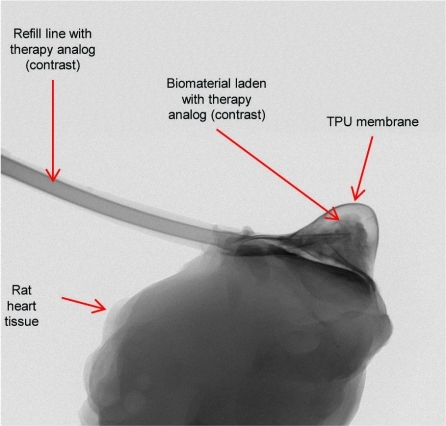 In testing on rats, the device was found to improve cardiac function following a heart attack, with hearts that received multiple doses of therapy showing better results than those that were treated to just a single dose or no treatment at all. While the team has been focusing on how Therepi can mitigate the effects of heart disease, the device could also be used in other parts of the body to treat a wide range of health issues.